I don’t hear the children. I had better check on them. Can you please check on the cake? It should be ready to come out of the oven soon. Everyone else’s meal in the restaurant arrived in 15 minutes, but mine didn’t. The server said he would check on it and see why it wasn’t ready. 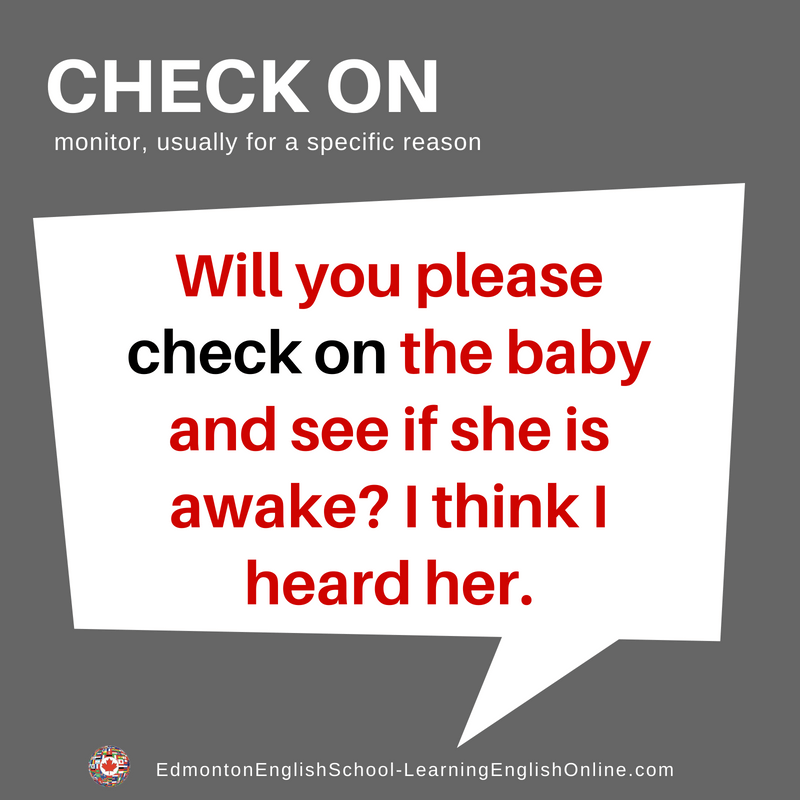 Note: Many phrasal verbs have more than one meaning.